Friend and trainer going for UFC victory. Australia v Canada. 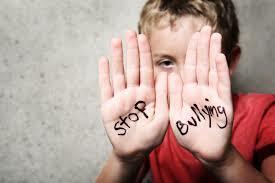 Bullies, not just in the playground. It seams odd, to any reasonable human being that an adult can pick on a child let alone their own child. Unfortunately it happens and more often that we give thought to. Being a parent is a blessing, not a right. As a parent it is your job to protect your child, educate and hopefully send them out into the world as a balanced functioning adult. It is not your right as a parent to belittle your child, intimidate, manipulate and humiliate them. Children are not an accessory, they are not to be taken for granted. Picking on anyone is a reflection of incredibly poor character, picking on a child is unforgivable. Physical abuse may not be involved, however emotional and mental abuse as said above is just as damaging. It seems in the courts here in Australia that there is very little regard for emotional and mental abuse. That if there is no police record, nothing can be done. The courts seemingly care little “about the children” and more about balanced and equal time between parents. This is all well and good when both parents have their best children’s interest at heart. Parents who despite their differences can see that the welfare of their children is paramount. What about those minorities who can not be a responsible parent, those parents who do not pay any child support to punish their ex partner, who bully and manipulate for their own gain? There does not seem to be an answer. For those of us on the side lines watching those we love be continually harassed to breaking point all we can do is continue to love them. Continue to be there no matter the time of day. In my life right now, my plate is full, the other day, I dropped my bundle and spent most of the afternoon in tears. It was a culmination of events. The irony was, it was the smallest event that tipped me over the edge. At some stage in everyone’s life, you are going to experience stress. At the time, it is all consuming, it may not let you think straight, it may make you lose your appetite, may make you eat more! It might make you not sleep, or it may not let you get out of bed. We all react differently, so what can be done to cope with stress? 1) Talk – have someone you trust listen to you, sometime just getting it off your chest helps. Having a support network will do wonders. If need be find a support group depending on what it is you are dealing with. If someone you love it incredibly ill, there may just be a support group that you can attend. Ask the nurses, they will be able to point you in the right direction. If its the breakdown of a marriage, the loss of a job people will listen. There is no reason to deal with these issues on your own. 2) Exercise! My absolute favourite. There is nothing quite like getting your endorphins running to help your body cope. Do some martial arts! Kicking the crap out of a heavy bag does wonders! 3) Make sure you are eating right – lack of nourishment is not doing your body any favours. Either over indulging or not eating at all will not help your blood pressure, making you feel even worse. Sometimes with stress you may experience diarrhoea, if you are not getting enough sustenance this will put your body under more stress. As difficult as it may be, try to eat and drink plenty of water. 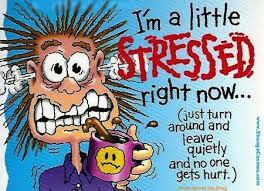 Stress will exacerbate other health problems, high blood pressure, skin problems, depression and insomnia. 4) Try and find a way to relax, yoga, meditation, listening to music. 5) Change the things you can, accept those you can’t. Sometimes we create our own stress, taking a step back and reflecting on ourselves – as harsh as it maybe, as much as you might not like what you see about yourself, honesty and acceptance may help you change. Those things that can not be changed, learning to accept them will go a long way in healing. Love your Sister – Feel your Boobies. Breast Cancer Awareness.